This is the modus operandi of the two malicious components of InvisiMole. They turn the affected computer into a video camera, letting the attackers see and hear what’s going on in the victim’s office or wherever their device may be. Uninvited, InvisiMole’s operators access the system, closely monitoring the victim’s activities and stealing the victim’s secrets. Our telemetry indicates that the malicious actors behind this malware have been active since at least since 2013, yet the cyber-espionage tool was never analyzed nor detected until discovered by the ESET products on compromised computers in Ukraine and Russia. The campaign is highly targeted – no wonder the malware has a low infection ratio, with only a few dozen computers being affected. InvisiMole has a modular architecture, starting its journey with a wrapper DLL, and performing its activities using two other modules that are embedded in its resources. Both of the modules are feature-rich backdoors, which together give it the ability to gather as much information about the target as possible. Extra measures are taken to avoid attracting the attention of the compromised user, enabling the malware to reside on the system for a longer period of time. How the spyware was spread to the infected machines is yet to be determined by further investigation. All infection vectors are possible, including installation facilitated by physical access to the machine. 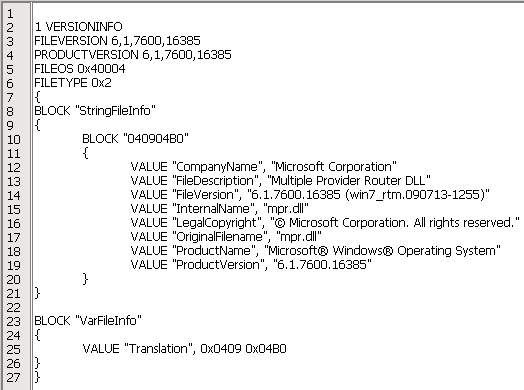 We have not seen a wrapper DLL named differently; however, there are hints in the DLL code that it might be also named fxsst.dll or winmm.dll. The first way in which the malware can be launched is by hijacking a DLL. Being placed in the same folder as explorer.exe, the wrapper DLL is loaded during the Windows startup into the Windows Explorer process instead of the legitimate library located in the %windir%system32 folder. We have found both 32-bit and 64-bit versions of the malware, which makes this persistence technique functional on both architectures. As an alternative to DLL hijacking, other loading and persistence methods are possible. The wrapper DLL exports a function called GetDataLength. When this function is called, the DLL checks whether it was loaded by the rundll32.exe process with either explorer.exe or svchost.exe as its parent process, and only then does it launch the payload. This suggests other possible persistence methods – by scheduling a task (i.e. having svchost.exe as a parent process) or by installation in a startup registry key (explorer.exe being the parent process). Regardless of the persistence method, the behavior of the malware and of the actual payload is the same in all cases. The wrapper DLL loads both the modules stored in its resources, named RC2FM and RC2CL, and (if DLL hijacking was used) finally loads the legitimate library into the explorer.exe process, in order not to disrupt the normal operation of the application, and thereby remain hidden. 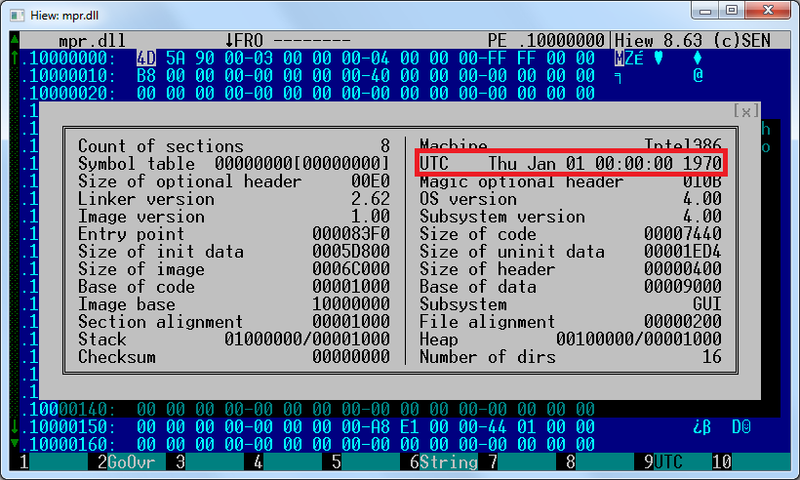 The exact date when the malware was compiled is unknown – the recent wrapper DLL samples were tampered with by the malware authors, with the PE timestamps manually set to zero values. However, during our research, we found an earlier version of the malware with a PE timestamp reading Oct 13, 2013, so the compilation date of the later version is almost surely more recent. To increase its level of stealth, the malware protects itself from the eyes of administrators and analysts by encrypting its strings, internal files, configuration data and network communication. 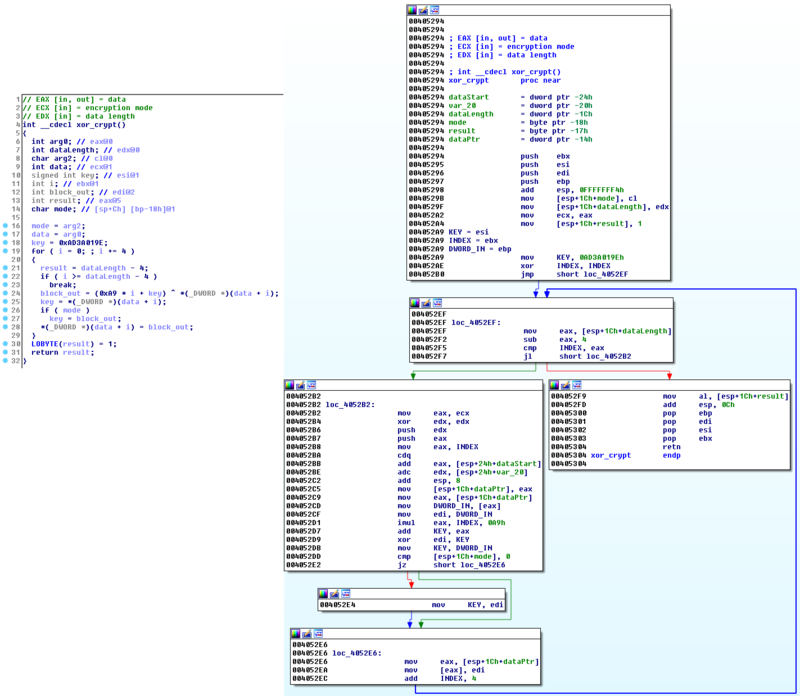 While the RC2FM module uses a handful of custom ciphers, the wrapper DLL and the RC2CL module share one particular routine for all purposes, especially for decrypting other malware modules embedded in the wrapper DLL. A script that is able to extract the embedded modules RC2FM and RC2CL from the wrapper DLL, using this routine, is available on ESET’s malware-research GitHub repository. The first, smaller module RC2FM contains a backdoor with fifteen supported commands. These are executed on the affected computer when instructed by the attackers. The module is designed to make various changes to the system but it also offers a bunch of spying commands. A logging option is implemented throughout the file but the name of the log file is not configured in the analyzed sample. This suggests that it was only used during the development of the malware. This module communicates with C&C servers that are either hardcoded in the sample, or updated later by the attackers. Moreover, the module is able to reach out to the C&C servers even if there is a proxy configured on the infected computer. If a direct connection is unsuccessful, the module attempts to connect to any of its C&C servers using locally-configured proxies or proxies configured for various browsers (Firefox, Pale Moon, and Opera). Should the victim use one of these portable browsers with a proxy server configured, the malware can find that in the user’s preferences and use that proxy to communicate with its C&C servers. C&C communication consists of a series of HTTP GET and POST requests, as shown in Figure 5. The encrypted request includes a PC identifier and timestamp, and optionally some other data. It is worth noting that the RC2FM module uses a number of encryption methods (variations of a simple XOR encryption routine), unlike the other InvisiMole parts. After successfully registering the victim with the C&C server, additional data are downloaded, which are to be interpreted on the local computer as backdoor commands. RC2FM supports commands for listing basic system information and performing simple changes on the system, but also includes a few spyware features. When required by the attacker, it is capable of remotely activating the microphone on the compromised computer and capturing sounds. The audio recordings are encoded to MP3 format using a legitimate lame.dll library, which is downloaded and misused by the malware. Another way in which the malware can interfere with the victim’s privacy is by taking screenshots, which is another of the backdoor commands. The malware also monitors all fixed and removable drives mapped on the local system. Whenever a new drive is inserted, it creates a list of all the files on the drive and stores it encrypted in a file. All of the collected data can ultimately be sent to the attackers, when the appropriate command is issued. Fifteen commands are supported, as listed below. The backdoor interpreter function is visualized in Figure 6. The RC2CL module is also a backdoor with extensive spying capabilities. It is started by the wrapper DLL, launched at the same time as the RC2FM module. This one is more complex and offers features for collecting as much data about the infected computer as possible, rather than for making system changes. Interestingly, there is an option in the RC2CL module to turn off its backdoor functionality and act as a proxy. In this case, the malware turns off the Windows firewall and creates a server that relays communication between a client and C&C server, or between two clients. The malware communicates with its C&C servers through a TCP socket. 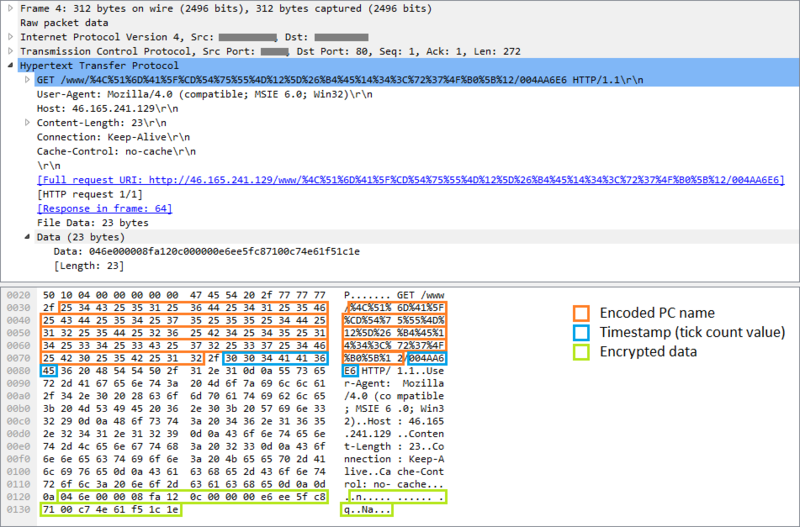 Messages sent from a client mimic the HTTP protocol, but note the invalid “HIDE” HTTP verb in the example in Figure 7. These requests comprise an identifier of the compromised PC, the request type, and encrypted data that are to be sent to the attackers, i.e. the results of the backdoor commands or appeals for further instructions. Depending on the commands received, the backdoor can perform various actions on the infected computer. Common backdoors often support commands such as file system operations, file execution, registry key manipulation or remote shell activation. This spyware supports all of these instructions and a whole lot more – its 84 commands provide the attackers with all they need to look at their victims more closely. The malware can inspect the infected computer and provide various data, from system information such as lists of active processes, running services, loaded drivers or available drives, to networking information, including the IP forward table and the speed of the internet connection. InvisiMole is capable of scanning enabled wireless networks on the compromised system. It records information such as the SSID and MAC address of the visible Wi-Fi access points. These data can then be compared to public databases, letting the attackers track the geolocation of the victim. Other commands can provide information about the users of the compromised machine, their accounts and previous sessions. The software installed on the compromised computer is of particular interest. Which programs are installed on the system? Which of them are executed automatically at each system start or user logon? Which programs are used by a particular user? If the attackers are interested, they are only one command away from these valuable data. The malware can be instructed to search for recently-used documents or other interesting files. It can monitor specific directories and removable devices, report any changes and exfiltrate files of the attackers’ choice. The malware may enable or disable the User Account Control (UAC), or even bypass the UAC and work with the files in secure locations without having administrator privileges (see more at https://wikileaks.org/ciav7p1/cms/page_3375231.html). If the malware is running under the explorer.exe process, which is auto-elevated, it can create an elevated COM object and use it to delete or move files in locations that require admin rights. What is even more disturbing is that it can remotely activate the victim’s webcam and microphone and spy on the victim by taking pictures and recording sound. Screen activity can be monitored by capturing screenshots. What is particularly interesting about InvisiMole is that not only the usual “whole display” screenshots are taken – it can separately capture each window, which helps the attackers gain more information even when the windows are overlapped. We have not observed the attackers actually using this command but we can speculate that it does so to achieve additional persistence on 32-bit systems. Though the backdoor is capable of interfering with the system (e.g. to log off a user, terminate a process or shut down the system), it mostly provides passive operations. Whenever possible, it tries to hide its activities. For instance, the malware sniffs around interesting places on the system, reads recent documents or even modifies some files. This leaves traces on the system and could raise the victim’s suspicions as the time of the last access or modification of the files is changed with each such activity. To prevent this, the malware always restores the original file access or modification times, so that the user is unaware of its operation. Another example of how the malware authors attempt to act covertly is the way they treat traces left on the disk. The malware collects loads of sensitive data, which are then temporarily stored in files and deleted after they have been successfully uploaded to the C&C servers. Even the deleted files can, however, be recovered by an experienced system administrator, which could help further investigation of the attack – after the victim becomes aware of it. This is possible due to the fact that some data still reside on a disk even after a file is deleted. To prevent this, the malware has the ability to safe-delete all the files, which means it first overwrites the data in a file with zeroes or random bytes, and only then is the file deleted. The backdoor configuration and the data collected are stored in one of two places – a working directory and working registry keys. A substantial portion of the backdoor command set is dedicated to manipulating these storage locations and their contents. The location of the working directory is determined by the instructions from the remote server. The directory is used as temporary storage for files containing collected data about the compromised computer. Such files share a common naming convention, encryption algorithm and structure. They are encrypted by a simple variation of the XOR cipher which is used across the malware components. The type of the file can be derived from the 4-byte control sequences placed at the beginning of the file. Besides being a storehouse for the gathered data, the working directory is also home to a copy of the legitimate WinRAR.exe application. This is copied by the malware and abused by the attackers for compressing the data that are to be exfiltrated. The working registry keys store configuration data, as well as a list of files in the working directory. The data are packed using a Zlib routine implemented in the malware binary and encrypted with the same cipher as the internal files. The backdoor provides more than eighty commands that utilize the working directory and registry keys to store their intermediate results and configuration data. 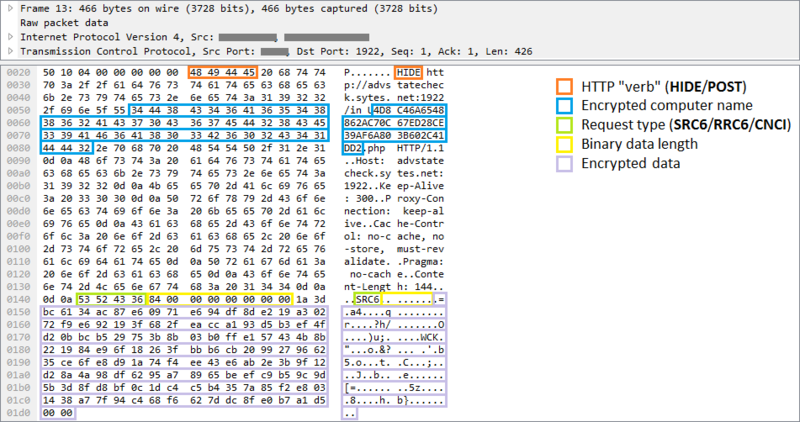 The graph of the backdoor interpreter is shown in Figure 8. Approximately a third of the commands are dedicated to reading and updating the configuration data stored in the registry. The rest of the commands are listed in the table below. InvisiMole is fully-equipped spyware whose rich capabilities can surely compete with other espionage tools seen in the wild. 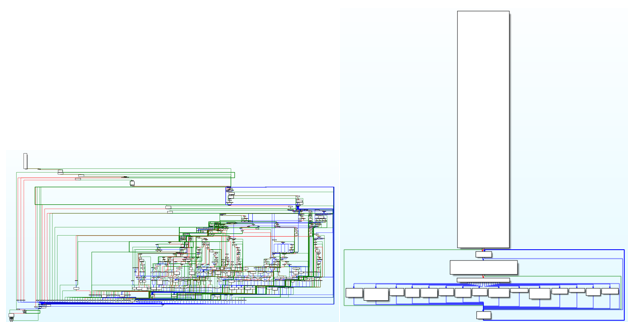 We can only wonder why the authors decided to use two modules with overlapping capabilities. One might think the smaller module, RC2FM, is used as an initial reconnaissance tool, while the bigger RC2CL module is only run on interesting targets. This is, however, not the case – both of the modules are launched simultaneously. Another possible explanation is that the modules might have been crafted by various authors and then bundled together to provide the malware operators a more complex range of functionalities. The malware uses only a few techniques to avoid detection and analysis, yet, deployed against a very small number of high-value targets, it was able to stay under the radar for at least five years. A full and comprehensive list of IoCs, C&C servers, along with registry keys and values can be found on GitHub.